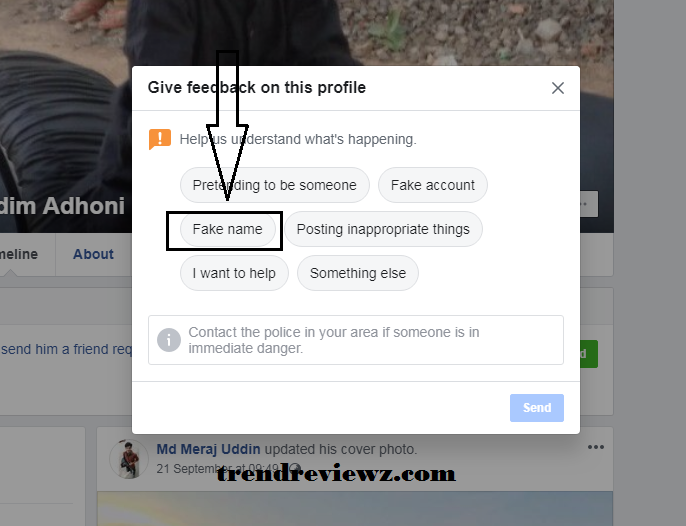 Note: this article is for education purpose only we do not have any intention for blocking or disable someone's facebook account. 2 step. 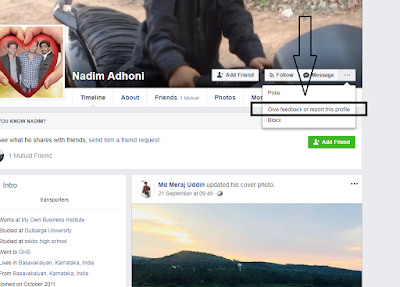 now you have the fb profile of the victim as you can see in the above picture now its reporting time. seeing? those 3 dots? from the top right of the above picture click on it. Now you have learned how to report someone on facebook in just simple steps. If you are willing to remove someone facebook account badly then use VPN connect to United state and hit the report from 5 to 10 accounts with change VPN or proxy the account will get a block in 5 to 6 hours. I have done this before at least you have to hit 5reports at the same time with change facebook ids this method is only for education purpose only.